On 10th August 1961 an event began that was to last for ten-years, and would leave a tragedy that has yet to find an end. Fifty years on, the Vietnamese people and their many friends around the world will be commemorating this special anniversary. Let’s recall and reflect on what happened on that day of 10th August 1961, and the consequences, so horrific, it is difficult to grasp, to understand. It raises in the minds of many the questions: WHY? And what can be done to overcome the criminal legacy of Agent Orange? When the first planes took off from their base in South Vietnam on that fateful day, with its cargo of Agent Orange that was itself contaminated with Dioxin the world’s most poisonous substance, and to begin the first spraying that was to continue for ten long years, none of the pilots or their crews were to know that they had set out on a mission that was to be repeated by others time and again resulting in the deaths of thousands of innocent unborn babies, further, their actions were to cause the early deaths of many more thousands of innocent children, denying them their human rights, a right never to reach beyond their teenage years. The results of the use of Agent Orange/Dioxin over those years have travelled down the years with devastating results; for the magnificent forests on which the chemical was sprayed, for the people living and fighting for their country’s independence within the forests, the animal life, insects, all so vital for any forest. For the people going about their daily lives in the fields outside the cities growing their crops, and tending to their animals, they too were to become victims of Agent Orange as were the children walking to school and who later, on returning home, were to help their parents in the fields. As the spaying continued, so the soil itself became poisoned as did the food being grown…..As did the fish in the rivers and lakes. It was to take just a few months before the true horrors of the use of Agent Orange came to be seen with the still-born and abnormal births that have to be seen to be believed. Those that survived the birth had various illnesses, deformities, such was the nature of their deformities, it can be said it was a blessing they soon died. In my first visit to Vietnam in March 1989, I was to see at the Hoa Binh Peace Village in Tu Du Hospital the jars containing the foetuses of the stillborn that died in their mother’s womb and those that died soon after their birth. It is a sight that remains with me to this very day. AO child victims in a class at the Peace Village in Ho Chi Minh City. In another part of the Peace Village I saw and met babies and young children that despite their disabilities were just like any child happy to see people visiting them. It has always been a special joy for me to see them. To hold one in my arms has been precious moments for both of us. Although Agent Orange was only sprayed over South Vietnam, those who fought to defend and free their country came from all over the country, in so doing many became affected by the spraying and on returning home married passing Agent Orange onto their children. In a northern town I have met with three generations of a family, the father who served during the war and his son born with deformities in his feet, and in turn his son, born with no legs the result of Agent Orange. There are many such families in Vietnam and the number is increasing. These tragic victims, of all ages need our help and support. No one who visits Vietnam and sees and speaks to them cannot but be moved, nor can they leave and return home and forget what they have seen. But it is not only the victims. We cannot and must never forget the parents; it is they that have been giving the care and love to their sons and daughters 24 hours a day, seven days a week throughout the years. I have written before of a family I visited with friends from Ho Chi Minh City, when we went to Dong Nai a nearby province. It was in Dong Nai that an American air-base was established at Bien Hoa; from there planes took off with their cargo of Agent Orange and landed after completing the spraying. 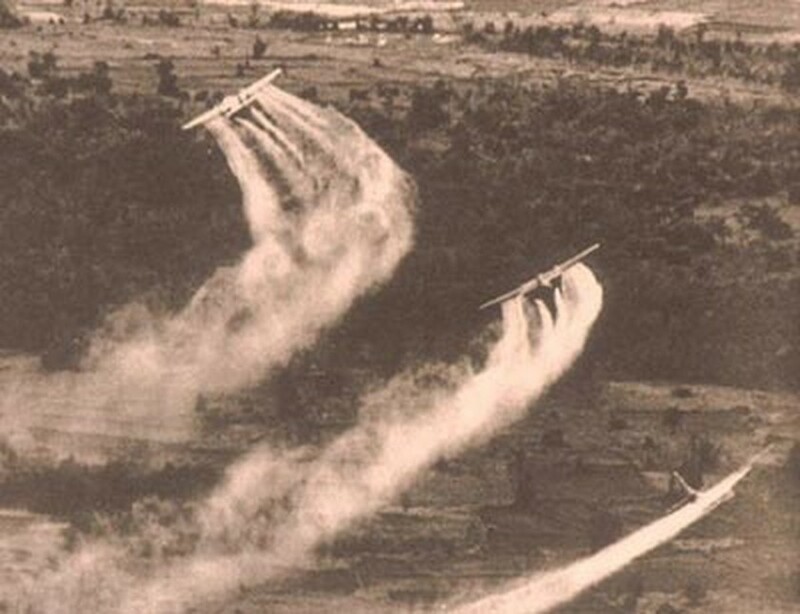 Such actions have left many thousands of people of Dong Nai suffering today from Agent Orange, the air-base and the surrounding area is still contaminated with Agent Orange. The family we met was a mother and her two daughters, both unable to move, speak, or eat without the help from their mother. Everything had to be done for them, and the ages of the daughters? One is 42 years, the other 36. Just imagine, a mother looking after her two daughters, caring for their needs, for forty-two years. Such a situation is not rare in Vietnam, the figure of Vietnamese suffering from Agent Orange runs into the millions. It is a question I find very hard to answer. It is a question that I have posed to various US Presidents from Clinton to Obama. With Obama, I also wrote to his wife Michelle. Neither of the presidents replied, nor I am sorry to write, has Michelle. I also wrote to the heads of a few of the thirty-seven US Chemical companies that manufactured Agent Orange, such as Monsanto and Dow Chemicals. The replies from them were clear, they refuse to accept their responsibilities, passing the buck – to use an expression – to the US government with the excuse they were ordered to manufacture Agent Orange, an excuse that was used by the Nazis and rejected by the judges at the Nuremberg Trials that following WWII. Perhaps when a US veteran meets up with an ambassador they might like to ask the same question…. Or when they meet with President Obama…..
A number of years ago I discovered to my horror that both Monsanto and Dow Chemical had offices in Ho Chi Minh City, I wrote a letter to the Director of the Monsanto office informing him I was coming to Ho Chi Minh City and would like to meet with him and added an invitation to come with me to the Peace Village at Tu Du Hospital and meet a few children affected by Agent Orange. He replied that he would be out of the city at the date I would be there. However, I replied telling him I would deliver the letter to his office, I did and the reply was as I expected. The visit to the office of Dow Chemicals a couple of years later was the same; I was received by one of the secretaries and given a statement along the same lines refusing to accept any responsibility etc etc. It would appear that the companies have the same Public Relations Company. In these fifty years there have been many actions of support for the Vietnamese victims of Agent Orange, both within Vietnam and in many other countries, with lawsuits, one reaching to the US Supreme Court only to be rejected. Public meetings, where Vietnamese victims spoke. International Tribunals have met, with witnesses presenting the case for justice. Petitions on paper and online have gained the support of millions in many countries. Vietnamese victims have stated their case before committees of US Congress. Concerts and many other activities continue to this day. The case for justice for the victims has reached millions, but sadly with little success. Neither the American Governments, from Nixon to Obama, nor the American Chemical Companies headed by Monsanto and Dow Chemicals will admit responsibility nor have they paid a cent in compensation to the victims and their families. A number of statements in support of the victims have been made by elected representatives of the US, these are welcomed but very little real help has come from them. Invariably they link any questions of help for the victims, by talking about Human Rights, ignoring the human rights of the children born many years after the war and suffering from the Agent Orange their country used on Vietnam. The file photo shows US planes spraying Agent Orange in Vietnam during the US war in Vietnam. 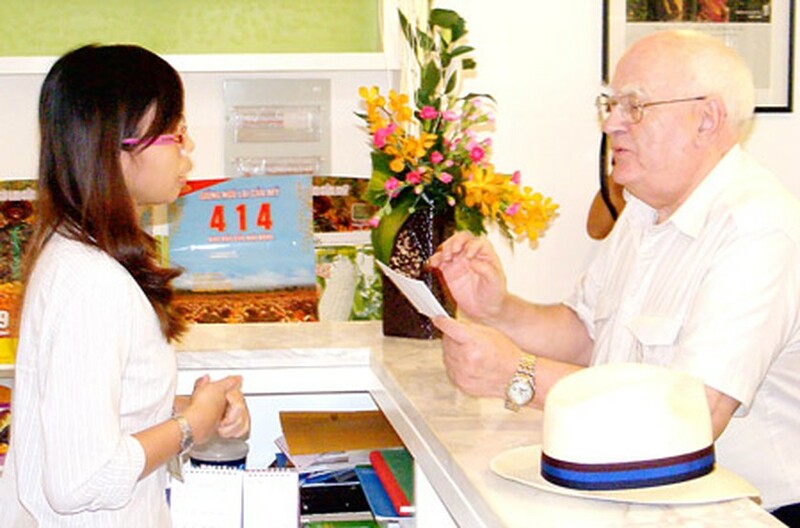 A few years ago a US-Vietnam Dialogue Group (DG) was set-up to discuss what steps can be made to tackle the question of Agent Orange and its effect on the people and land of Vietnam. High were the hopes of many within Vietnam and without at this news. I was particularly pleased as I have known a few of the Vietnamese members of the DG for a number of years and have long regarded them as friends, and still do. After a couple of years they produced a report, a ten-year plan costing $300 million to tackle the problem of Agent Orange. Personally I regard the plan puzzling. First, $30 million per year for ten-years is not enough, even to clean up the number of hot spots where the American air-bases were and where Agent Orange was stored, and in some cases leaked. For example, In their report it stated that drums of Agent Orange were gathered up except for those that had leaked and were buried – where, it did not state nor how many? These drums are time-bombs waiting to explode. They need to be uncovered and dealt with; the land must already be contaminated. I wrote earlier that I was horrified to discover that in Ho Chi Minh City, Monsanto and Dow Chemicals have offices. Anyone that has campaigned for justice for the Vietnamese affected by Agent Orange will know that both these companies along with others manufactured the Agent Orange used on Vietnam for ten-years. Monsanto made $billions as a manufacturer of Agent Orange, they are still making $billions from being the world’s largest producer of GM Seeds, such information is known to governing authorities of many countries as it be must to those in Vietnam. It is beyond belief that companies headed by Monsanto and Dow Chemicals that have contaminated the land of Vietnam, destroyed the forests, killed, maimed, and crippled millions of its people, and refuse to admit responsibility nor pay any compensation to the victims or their families are allowed to have an office in the country. There are countries that have taken the decision to ban GM seeds coming into their countries. It is internationally recognised that GM seeds do not benefit farmers or the consumers; nor do they increase the crop yields. Ask the widows of the thousands of Indian Farmers who have committed suicide through being forced to purchase Monsanto’s seeds and became heavily in debt. Very little was said of what amount of the $30 million per year would be spent on the Vietnamese affected with Agent Orange to help them, for example, with medical treatment, be it at home, in hospitals, or local clinics. Nothing was written of respite homes where the parents can have a rest from the week in week out 24 hours care they are giving to their children, nor what help would be given to the communities for them to assist the victims. There is a whole raft of programmes that are needed to help the Vietnamese victims and frankly $30 million a year is far from being adequate. As I stated earlier, the number of victims of Agent Orange runs into the millions. I regret making the above critical comments but having seen what I have over the twenty-two years of visiting and meeting with the victims and their parents etc, there is more than talk and grandiose plans that are needed. Let me now come to another aspect of this issue and one that I know is a sensitive one. I have been coming to Vietnam each year since 1989, during those years I have met and made many friends at various levels. I would hope that they accept and understand that I now write in the spirit of that friendship built up over these years. In my opinion new thinking is needed if we are serious about seeking justice for the millions of Agent Orange victims in Vietnam. Let me suggest that an international conference be called to discuss what now needs to be done to bring justice to the victims. I would urge that one such action be a call for an international ban on all products of Monsanto and that would and must include GMO. In this the Fiftieth Year of the use of Agent Orange on Vietnam, let us remember the many hundreds of thousands that have died through Agent Orange and were denied justice as were their families. Let us remember the millions still with us and suffering for whom we demand justice. Let us remember those yet to be born and who will suffer from the consequences of Agent Orange. Friends, the time for talk has ended it is now time for action, and on an international scale.